Standard COBRA – For Active Employees and Dependents who recently retired or separated from service (resignation, termination or lay-off), or Dependents of an Active Member who are no longer eligible for coverage. 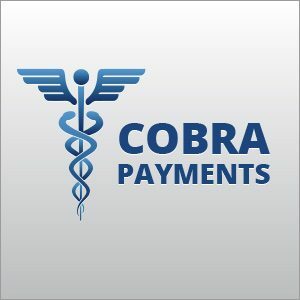 COBRA coverage includes full-level dental (at the Active Level), optical, prescription co-payment reimbursement and hearing aid benefit for the monthly premium for the remainder of 2017 of: $44.94 for single coverage, $89.88 for individual +1 or $123.00 for family coverage. Beginning with your January 2018 payment, the monthly premium will be: $46.76 for each individual enrolling in single coverage, $93.52 for individual +1 or $126.72 for family coverage. Retiree Dependent COBRA – For Dependents of a Retiree who are no longer eligible for coverage. COBRA coverage includes optical, hearing aid, and retiree dental ($500 annually) for a monthly premium for the remainder of 2017 of: $17.55 for single coverage, $35.07 for family coverage. Beginning in January 2018, the monthly premium will be: $18.20 for single coverage, $36.38 for family coverage. Additional Information – You and your covered dependents, if any, may continue coverage under COBRA for 18 months if loss of coverage occurred due to termination of employment or reduction in work hours. 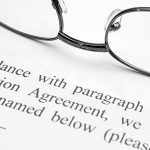 This coverage may continue or be extended up to 36 months only if one of the following qualifying events occurs: divorce or cessation of dependent status (children over age 19 if not attending full-time college, children over age 25 if attending college full-time). Dependents of a deceased member are eligible for COBRA coverage indefinitely. Dependents whose coverage ends will be eligible for COBRA coverage at the same level of benefits at the time of the qualifying event, Standard or Retiree. To the extent that this website describes any benefit provided by this Fund, which is already described in the Fund’s comprehensive Benefits Reference Guide, or as amended in subsequent writings issued by the Fund, or a policy of insurance (e.g., life insurance), the language of the Benefits Reference Guide, as amended, and/or the group insurance contract, which specify the exact benefits provided, will govern in the event of inconsistency between it and the language of this website.